May sees the welcome return of the Southend-on-Sea Film Festival (23-27 May), an annual celebration of movie making from across the globe. This year’s jam-packed programme is a true delight for film fans, with several world premieres, cinema classics and emphasis on putting independent film makers in the spotlight. The Festival’s curtain raising gala night on Thursday 23rd May, will see Simon Frith’s Under the Radar: The Mike Edmonds Story given its world premiere. The film looks back on Essex-born actor Mike Edmonds’ incredible life and career. After appearing in his first movie role in Ken Loach’s Black Jack (1979), Mike went on to feature in a series of box office smashes; including Time Bandits, Star Wars, Who Framed Roger Rabbit? And Harry Potter and the Deathly Hallows. Born with achondroplasia (dwarfism), Edmonds only discovered acting in his thirties but such was his talent that he toured with the Royal Shakespeare Company – appearing on stage with non-other than Sir Lawrence Olivier – and became a family favourite as Little Ron in the BBC’s Maid Marian and her Merry Men, alongside Sir Tony Robinson. Not only that, he was both Jabba the Hutt’s expressive tail and Logray the Ewok in Return of the Jedi. Under the Radar is a frank, funny and affecting documentary, charting Mike’s childhood in Essex, his early breaks in film and his own perspective on the craft of acting. The film has contributions from fellow stars, including Colin Firth, Sir Michael Palin and Terry Gilliam. Mike also appeared in the music video for Men Without Hats’ 80s hit, ‘Safety Dance’ and the Festival pays tribute to the legendary record label, Trojan. 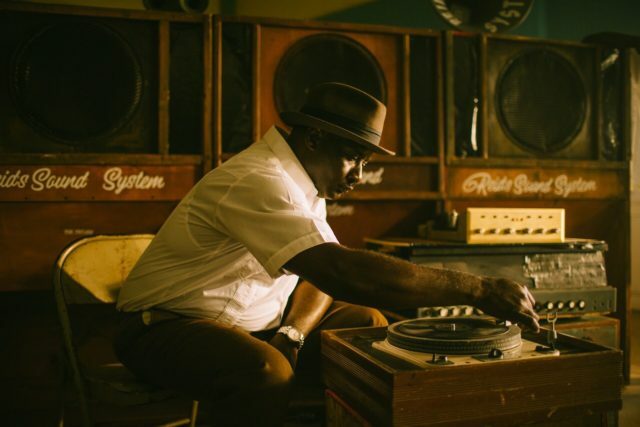 Rudeboy: The Story of Trojan Records celebrates the love affair between Jamaican and British youth culture, through the prism of one of the most Iconic record labels in history. The screening (on Friday 24 May) is complimented with a new music video, starring British rapper Kojey Radical. For older cinema goers, Southend on Sea Film Festival’s Director, Paul Cotgrove has scheduled some heart-warming classics, including Bulldog Drummond Comes Back (1937), Peter Sellers’ The Battle of the Sexes (1960) and the comedy Castle in the Air, starring the wonderful Margaret Rutherford. Families are also well catered for with crackpot capers in The Laurel & Hardy Laughter Show: Stan and Ollie – Unplugged (Monday 27 May), Huggins (25 May) and the award-winning Japanese movie, Mary and the Witch’s Flower. In fact, the Festival represents a rare and important platform for world cinema screenings here in Essex. From France there is Roger Vadim’s 1950s masterpiece And God Created Woman (24 May) and the award-winning The Well-Digger’s Daughter, by the celebrated film maker Daniel Auteuil. Movies from Sri Lanka (Forsaken Land), Italy (Dogman) and from Finland, Klaus Haro’s The Fencer. In the 1970s, Bruce Lee transformed martial arts, such as karate and wing chun, into a cultural phenomenon via string of hit movies. Continuing Lee’s legacy – after his tragic death in 1973 – are two brand new films; Lonewolf: The Awakening and The Liberator Fights Back. Both were made by Southend-based director, Ben Lettieri. Giving local, UK and international independent film makers an opportunity to screen their films to new and appreciative audiences is at the very core of Southend on Sea Film Festival’s ethos, so it is exciting to see that Paul Cotgrove and his team have again programmed a plethora of films from up-and-coming movie makers. 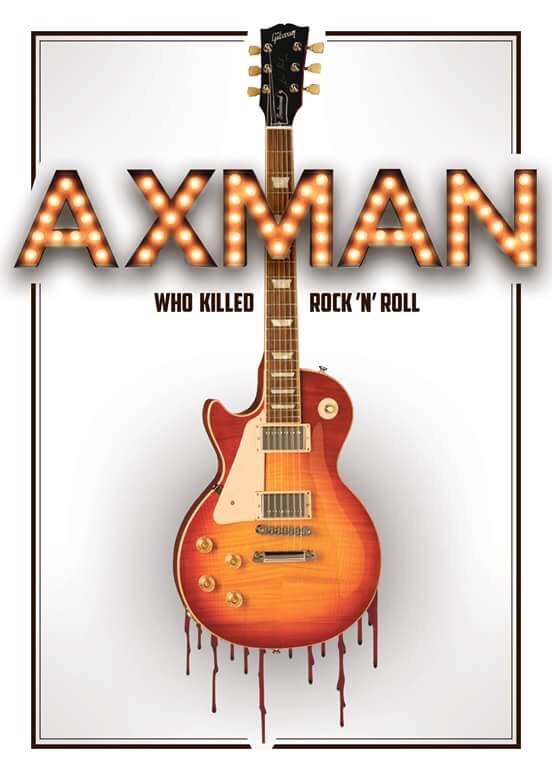 Rochford’s Marc Blake is an accomplished stand-up comedian but has literally directed his creative skills into creating his first feature film, Axman. Marc’s film will be given its world premiere on 25 May, as part of the Festival. The closing gala on Monday 27 May, will act as a major showcase for new independent films from a variety of genres, with seven being screened that used Southend-on-Sea and surrounding areas as a backdrop. These include Tony Burke’s Bottle Boy, The Bicycle Thief by Stewart Alexander and Kerry Skinner, and Molly Brown’s Meanwhile, In Southend. Life After Operation Whirlwind is a fascinating documentary that sheds light on the history of over two thousand Hungarian emigres who fled their homeland in 1956, after an attempted revolution was crushed by Soviet forces. Many ended up in the UK and settled down in Southend. One was a fighting hero, another a champion wrestler but most were simply ‘ordinary’ people seeking a peaceful life far from the mixed memories of communism. Attila Kiraly’s moving film is not only about six-decades of refugee life but also a fascinating ‘private history’ of Southend-on-Sea and life in general during the 1950’s. Battles of a different kind are also unflinchingly studied in three very different works; Smack Edd is a harrowing depiction of drug addiction, while Life After is a serious drama about someone who commits suicide and the effect their death has on the friends and family they leave behind. On the same bill is Michelle Passfield’s film, Circle of Support. Made in association with Southend Mind, it explains about the amount of local support that is available for people with mental health problems. Commenting on the various strands to this year’s Festival, Director Paul Cotgrove says: “It may be a bit of a cliché but I do believe there’s something for everyone in this year’s programme. From documentaries to gritty beat-em-up movies, heroes of cinema to award-winning films from around the world, the Festival represents almost every aspect of movie making.